There aren’t exactly a lot of options when it comes to buying a phone that you can flip like the ones from the past decade or so. Thankfully, Samsung does make devices that feature the aforementioned form factor, so you can still use something modern while getting the feeling of a smartphone you can flip. 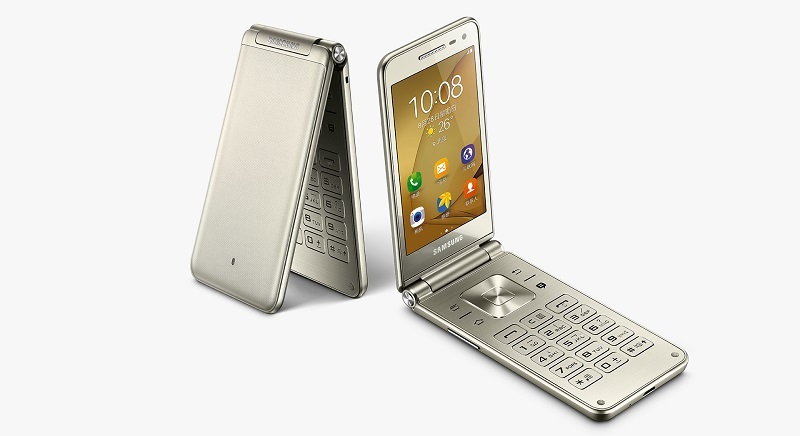 Now, it seems the options get more expansive as the South Korean tech giant unleashes the Galaxy Folder 2 in China. From the looks of things, the Galaxy Folder seems to be on the starting line when it comes to Android handsets. There’s a Qualcomm Snapdragon 425 chipset with a 1.4GHz quad-core CPU that’s paired with 2GB of RAM. You’ll also get 16GB of internal storage, which you can also expand via micro SD card slot. Meanwhile, the display sits at 3.8inches with WVGA resolution. Android 6.0.1 Marshmallow is available out of the box, but expect the company’s theme on-board. As for its camera, there’s an 8MP primary shooter and a 5MP selfie shooter. You’ll also get 1,950mAh, which Samsung claims to last for 318 hours on standby. At this time, there’s still no word as to when it will hit the local scene and how much it will cost, but we’ll keep you updated once Samsung does bring it here.